With industry experience spanning 25 years, and 5 years teaching expertise, Nicki Cockbill was perfectly placed to set up her own business. Having registered her start-up business, Company HQ Limited barbers, in July 2016, Nicki has opened her long-awaited shop and training academy in Southend-on-Sea. We spoke to Nicki about her start-up journey and her passion for what she does. Tell us more about Company HQ Limited and the motivation behind it. 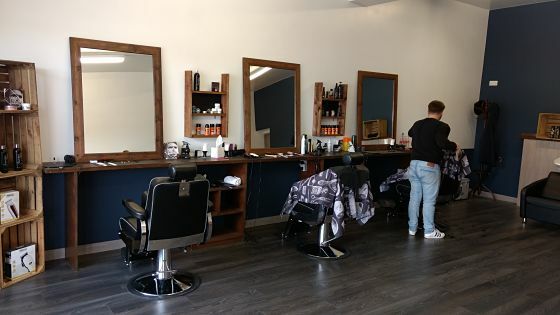 Company HQ is more than just a barbers; I am passionate about the work, so much so that I am developing the shop into an academy in order to teach others the art of professional barbering. I have the drive and determination to succeed, and am committed to offering excellence and customer service, which has been fuelled by my background in teaching. As a hairdresser and barber I have a passion for excellence and service, and as a tutor I want to share, educate, and bring like-minded barbers together. The start-up journey so far has not been without some challenges, but I have learnt many lessons along the way which will help me in future endeavours. How has Nwes supported you? The support has been incredible. My business mentor is always available with help and advice. His experience and knowledge has been extremely valuable. I successful applied for a Start Up Loan, which I have used for the shop lease, refurbishment, equipment and legal costs. I will continue to receive support from Nwes through the Start & Grow programme, and am already planning an exciting future for Company HQ Limited. I hope to open a second barbers or training academy. Do you have any advice for others who are considering a business start-up? Take your time with research and take advice from Nwes Business Advisors – their experience and knowledge is extremely helpful and can make starting your own business less daunting.